As we prepare for the 2019 Grudge Season, we have to first review how the 2018 season ended. Team Moore Mafia went on a tear of the competition at the Kings of Grudge. Dave Norris Racing on ‘Yellow Jacket’ proved that those old GS’s could shake up the World, and was one of the most consistent bikes of the year on a flat slick. 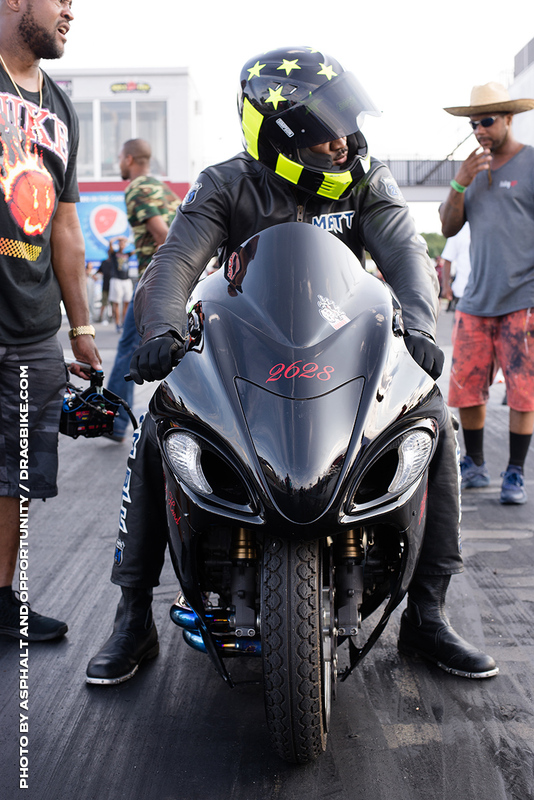 We witnessed the return of the 63-inch bikes in the Grudge competition, and last but not least, we saw the Big Boy HEAVYWEIGHTS put on a show all season long showing that the BIG BOYS could do it too. In this column of Built To Win, we reached out to some of the competition to see what it’s going to take to compete and win in the class in 2019. To figure out to beat the best, we had to start with current Champ, BIG COUNTRY…. You must give props when it’s due and Big Country came through in the clutch when it came down to it. Q) How did it feel to win the 2K18 Kings of Grudge “Heavy Weight Title”? My brother (Chris Moore) kept telling me that I could pull it off before the season even started. I definitely had my doubts, being a rookie on a new bike. But my tuners (BJ Humphries and Chris) took me to another level. It was an amazing feeling to put that belt on after all the work we put in. Q) The competition was stiff during the 2018 season. Everyone is in the shop trying to get faster and they are gunning for you. What will it take to REPEAT in 2019 as the HEAVYWEIGHT champ? The competition is gonna be even tougher in 2019. The guys I raced with last year are gonna be faster and there will be new guys looking to take the belt, but we have been upgrading and planning for 2019. Trust me, Big Kountry is just getting started. Q) All season long, you were the “HEAVIEST” fighting for the Heavyweight title. 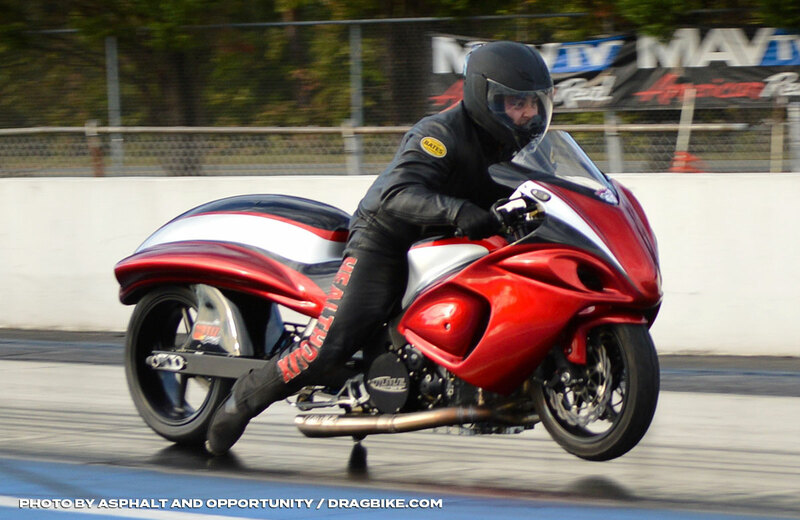 You gave it one hell of a run all year long and being that you were over 250 pounds, and you were competitive with your turbo Hayabusa against the Nitrous competition. What changes can we expect from you next season? We had a strong year, no doubt… Thank You! 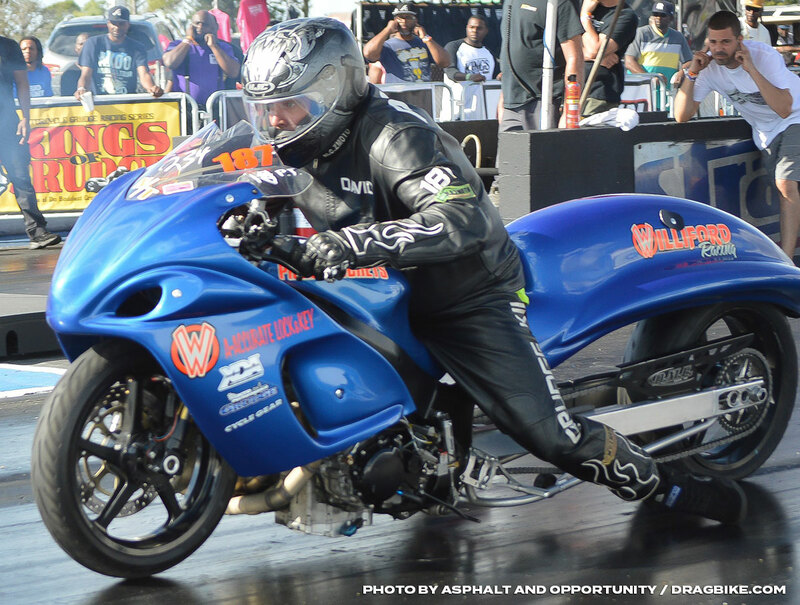 We came up short with .008 red light in the first round in Bradenton. With that lose, we also lost the Championship. That’s been a thorn in my side ever since. I was 270lbs the last two races. That’s a lot to give up to the guys that weigh in at 200lbs, drinking water to make weight. My first goal is to drop down to 250lbs to take advantage of the new turbos rules. We made a lot of changes towards the end of the 2018 season and really didn’t have a chance to get it dialed in. We aren’t going to change much at this point. Just a couple of minor things I need to keep under my hat. I just have to focus as a rider and grow, and mature to be a better rider. Hopefully, that will enable me to the 2019 Championship. That’s the ultimate GOAL! Q) Who’s who the radar for 2019 and why? Any and all HEAVYWEIGHTS that’s line up beside me. 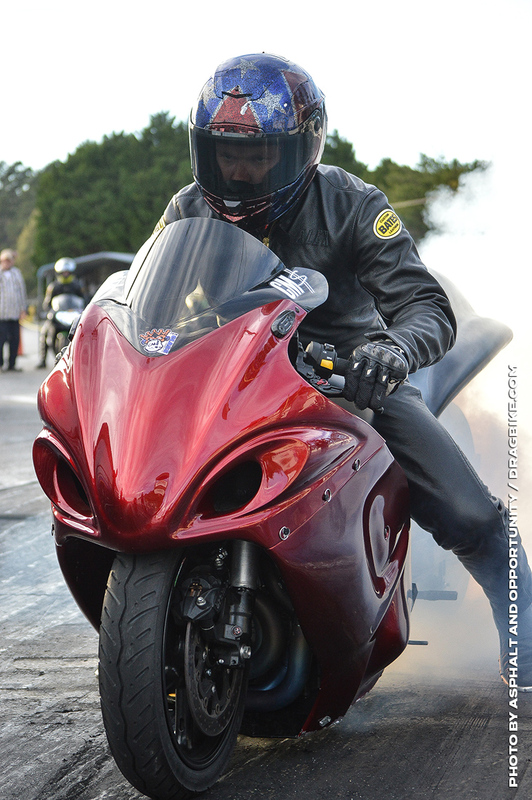 I’m just grateful to be able to ride these machines, and I’d like to add a special thanks to the Kings of Grudge for giving us the platform and Dragbike.com and Asphalt and Opportunity for providing the coverage. We get to race some of the baddest bikes on this planet. I must add that it’s also an honor and a pleasure to race with Williford Racing. Q) A lot of folks have been sleeping on Louisiana for several years now, but being that A&O travels, we get to see it all. You surprised some folks on the east coast this season with that -8 Below Power. You won it all twice this season, once in Huntsville, AL and later on again at the House of Hook in South Carolina. What can we expect this upcoming season from you? I’m a man of a few words and I don’t talk much, but we are looking to apply pressure all year long. Q) Everybody has that one that’s been in their sights, the one that’s been on their radar for a while. Do you have your eye set on anyone, in particular, this upcoming 2019 season? Any and all Heavy Hitters that are in my way… Ain’t nobody safe. Q) The Florida Boys with the Big Toys. 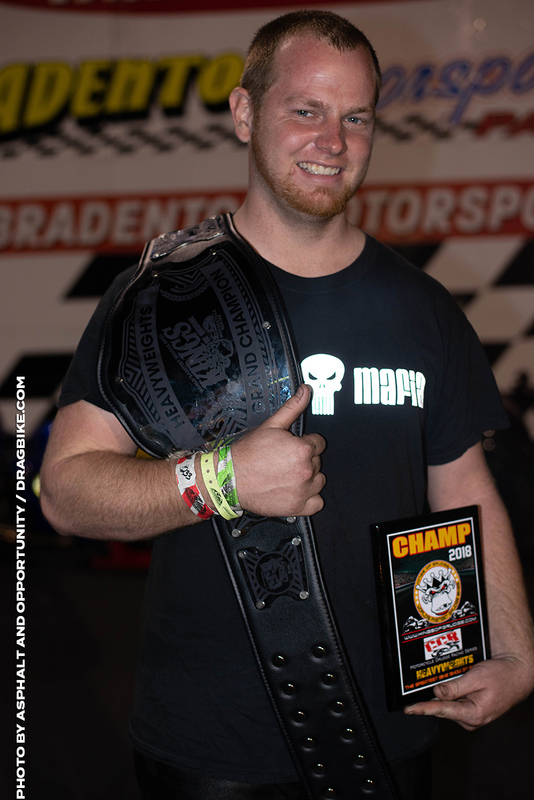 You basically raced the entire 2018 Kings of Grudge “Heavyweight” class last season. How would you sum up the season for yourself and Ortiz Racing? 2018 was awesome, we met some great people, won a few rounds, had a few wheelies, fell over on the scooter, ate some good food, learned how to use the big rig, and rode some badass ortiz racing bikes. 2018 was awesome for our team! Q) What will it take to make that next step this season, and what can we expect to see from you in 2019? We want to win more in 2019.